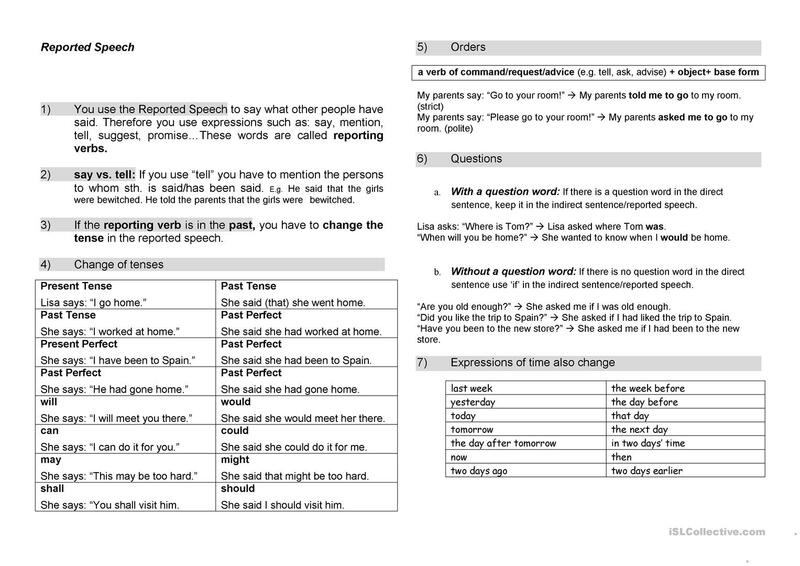 This worksheet summarizes the most important facts about the Reported Speech including the change of tense and time expressions. This downloadable printable is best suited for high school students at Pre-intermediate (A2) level. 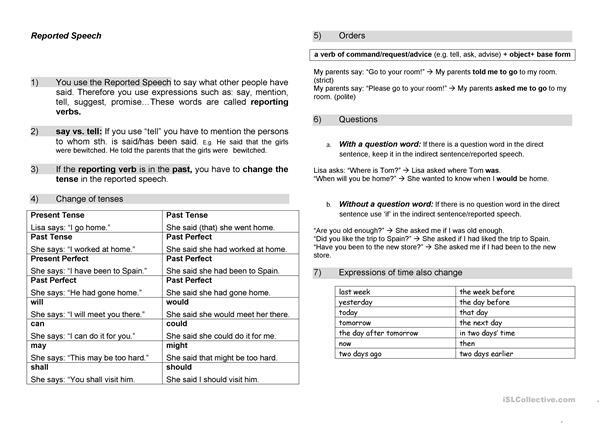 It is great for revising Reported Speech (Indirect speech) in English, and is excellent for improving your learners' Speaking skills. elisabschui is from/lives in Austria and has been a member of iSLCollective since 2012-11-15 15:06:43. elisabschui last logged in on 2019-04-01 11:25:33, and has shared 3 resources on iSLCollective so far.